Cormetrics has highly specialized corrosion testing equipment with the ability to perform tests to meet a wide range of field conditions. Cormetrics lab facilities are custom suited for failure analysis and corrosion assessments. We perform corrosion analyses ranging from downhole failures, production pipelines, facility piping and more. These services include corrosion ring analysis, ASTM G205 crude corrosivity testing, paraffin testing and other inhibitor characterisation tests. In addition to these lab testing services Cormetrics provides examination and recommendations for production chemical programs. Providing Corrosion Testing Services for the Oil & Gas Industry Since 1977. We offer full state of the art failure analysis and corrosion testing (electrochemical corrosion inhibitor and alloy evaluations, crude corrosivity assessment and corrosion coupon analysis), chemical program guidance and field investigations. Cormetrics has created an environment where people aren't just coming to a job. Engaging projects allow variety in the workday for our employees as they see the project through from start to finish. Learn more if you are interested in joining OEL’s skilled team. 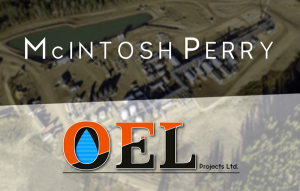 Two Leading Firms Form Multi-Disciplinary Engineering Company that Services the Public and Private Sectors Across Canada, and Includes Deep Oil & Gas Expertise.